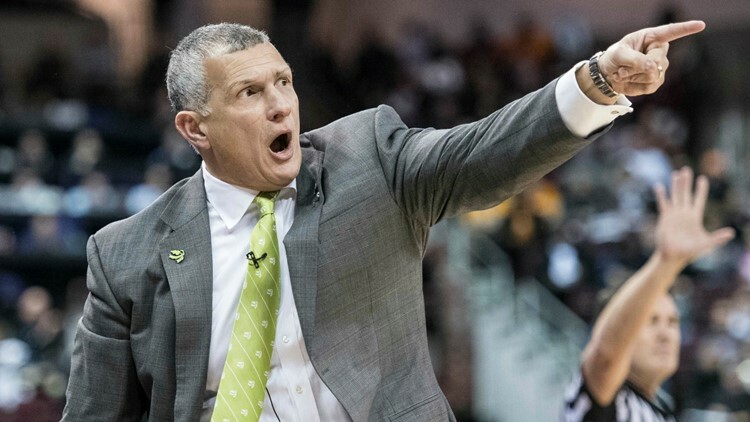 Roughly 18 hours after college basketball analyst Jeff Goodman reported that USC head basketball coach Frank Martin was a key target of Cincinnati for its vacant head coaching position, Goodman reported that Martin will not meet with Cincinnati officials. Martin was a former Cincinnati assistant from 2004-2006. He just completed his seventh season at USC. His 16-16 record marked the fifth straight season he has posted a non-losing record. Martin led the Gamecocks to the Final Four in 2017. Martin will make $3 million next season and his buyout to leave USC is at $12.6 million. He recently shot down reports linking him to the UNLV opening and while the Cincinnati position appeared to be more attractive, Martin has now turned down potential offers from two basketball-first schools.